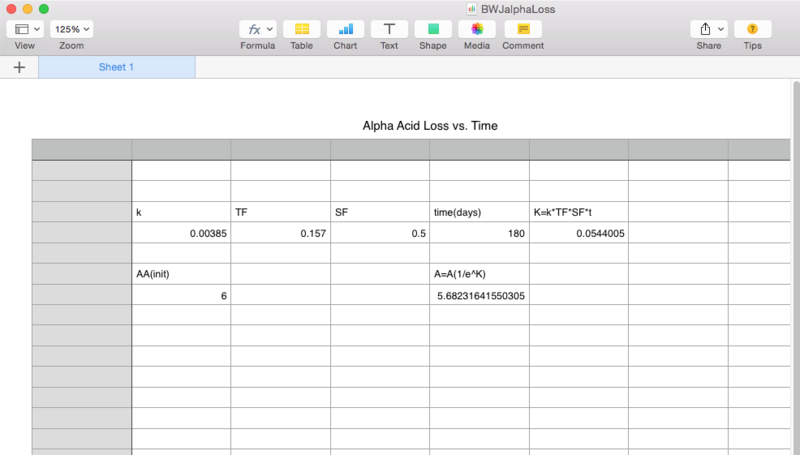 A spreadsheet (Apple Pages) used to calculate alpha acid loss over time. 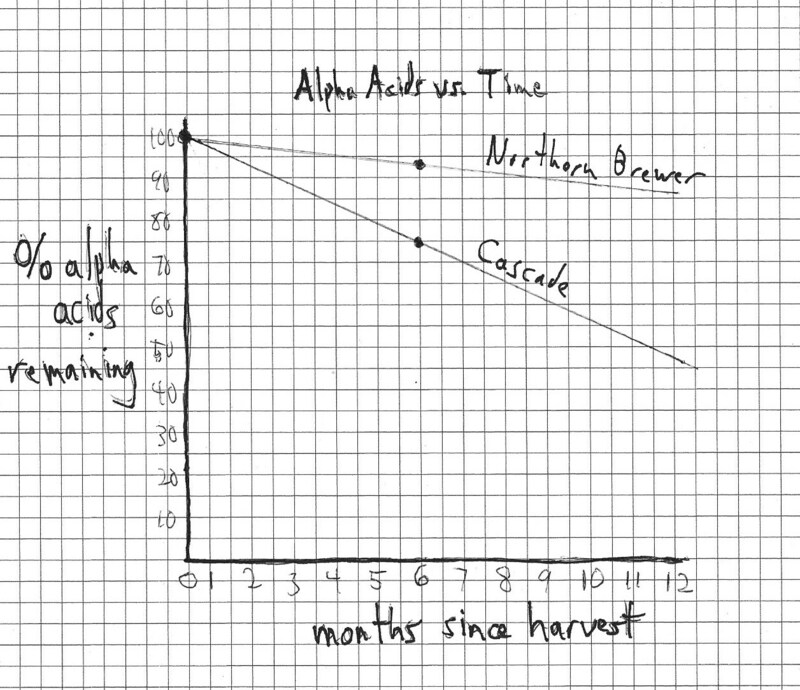 In the previous post, I related a quick and dirty way to estimate the loss in alpha acids of hops over time, assuming they were stored in a freezer. 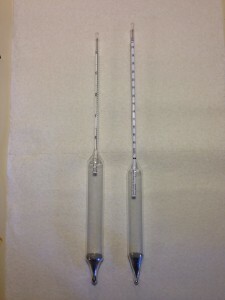 That method was based on two measured variables (initial alpha acid percentage and amount left after 6 months at 68 °F/20 °C), plus a couple “guesstimations” — how the rate of loss changed at colder temperatures and a linear extrapolation from the initial condition through the one “data” point. 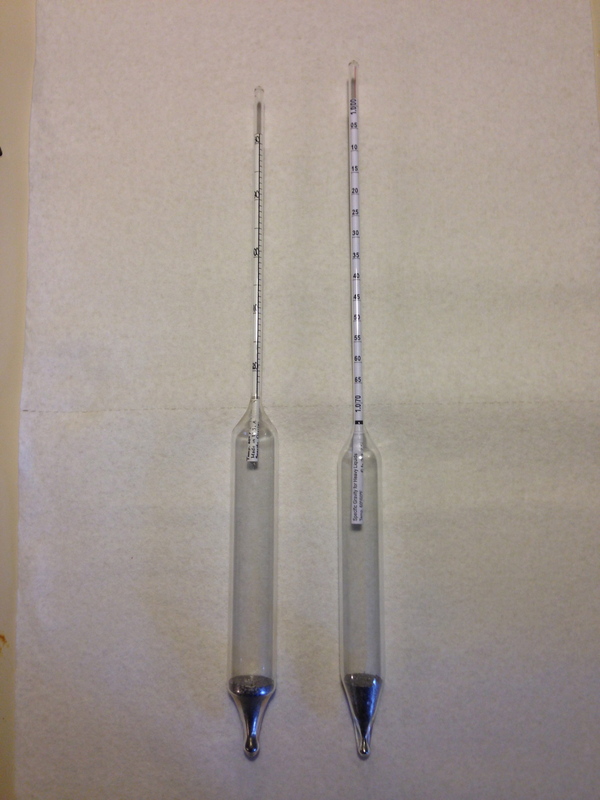 Most of the time, when we miss our target original gravity (OG), we are low. 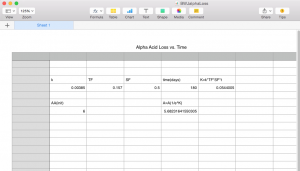 However, it can happen that your extract efficiency is higher than you expect and your OG ends up being higher than you planned for. 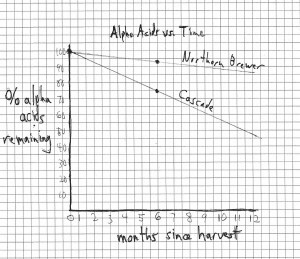 The most frequent causes of this adjusting your grain mill to a smaller gap, using a new base malt, or just learning the ropes and starting to get the hang of things. As with coming in low, you have a couple options. 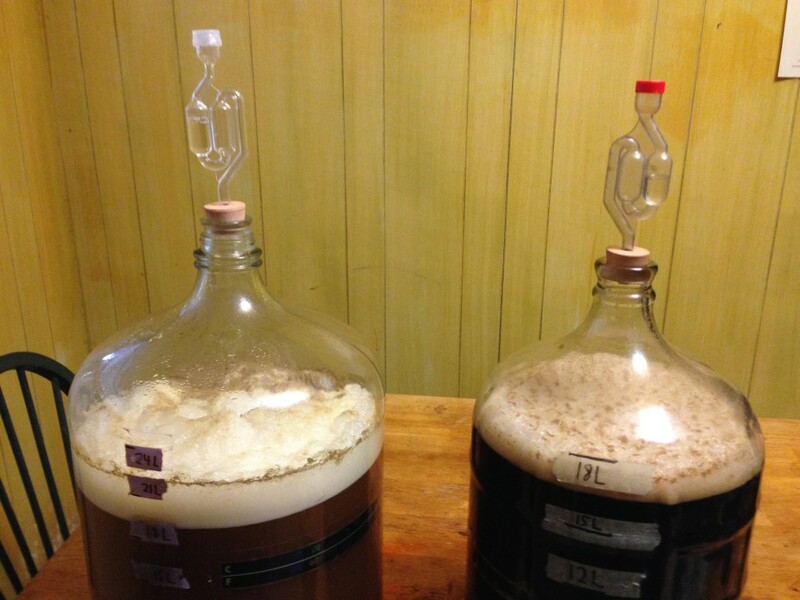 The first option, of course, is to just accept the higher OG and brew a stronger beer than you intended. If you were brewing a hoppy beer, you might want to adjust the hop amounts up slightly to take the lowered hop utilization into account. 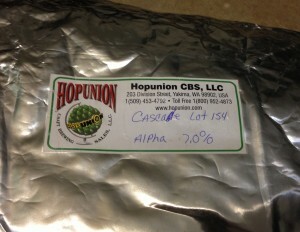 However, unless you’re way over your target OG, you can probably just add your hops as planned and be fine.